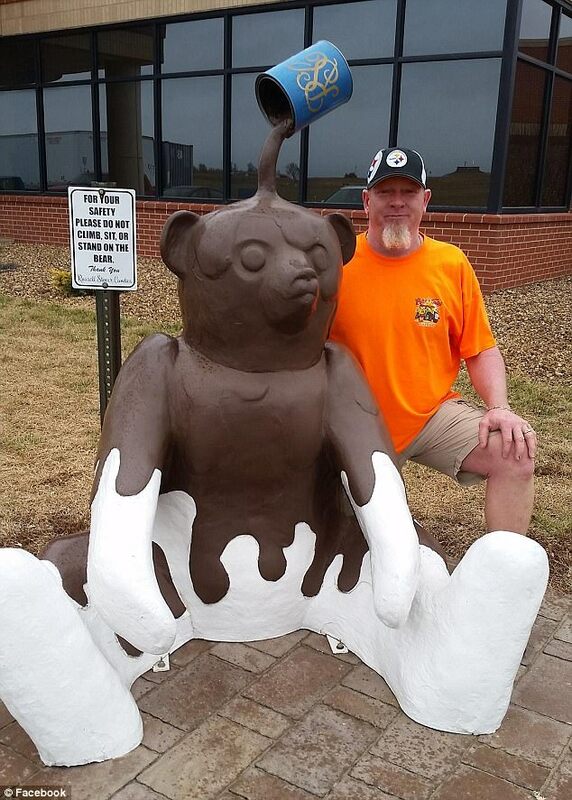 Home Amazing Grizzly crime solved: Kansas Candy factory's chocolate-covered bear statue is found a year after being stolen following anonymous tip . 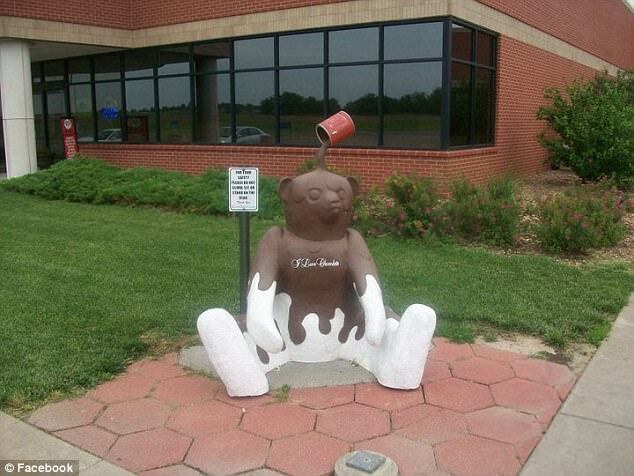 Grizzly crime solved: Kansas Candy factory's chocolate-covered bear statue is found a year after being stolen following anonymous tip . The mystery of a giant bear statue that went missing more than a year ago in central Kansas has finally been solved, thanks to a sweet tip given to the police. 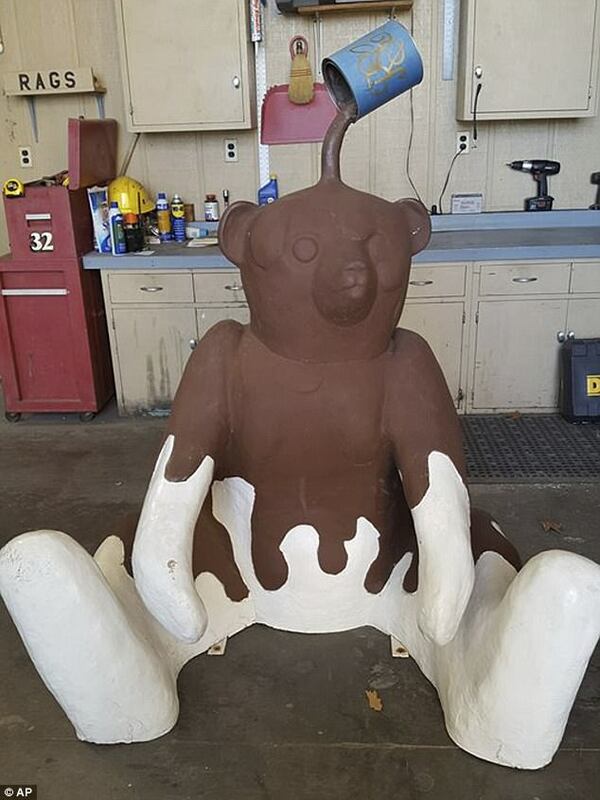 The sculpture of a sitting teddy bear covered in chocolate was found Wednesday at a home in Salina, Abilene Police Department assistant chief Jason Wilkins said. 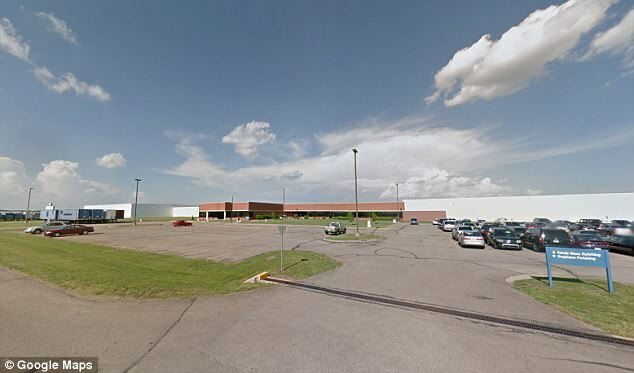 It was stolen from outside the Russell Stover Candies factory located in Abilene, during the overnight hours of Nov. 4, 2016, the Wichita Eagle reported. 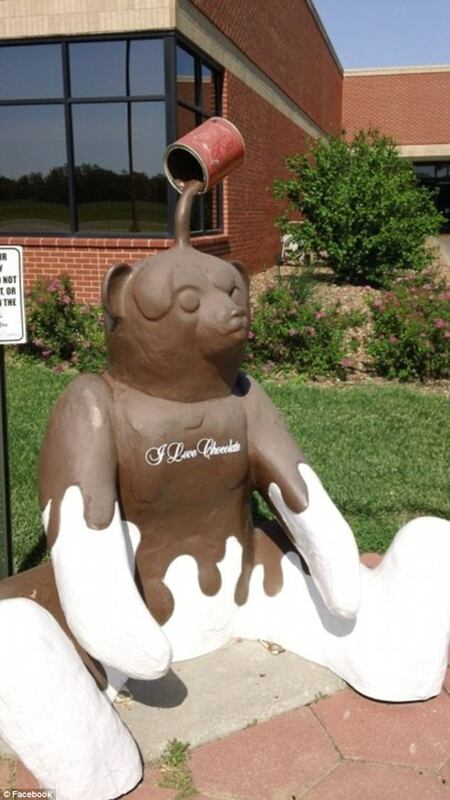 The sculpture of a sitting teddy bear covered in chocolate that was stolen in Nov. 2016, seen here at the Abilene, Kansas police stations, was found Wednesday at a home in Salina, Kansas. "This had become a running joke," Wilkins said. "We followed several leads and it never worked out, so we are extremely pleased to return it." "Great news for Russell Stover and all of the visitors who enjoyed taking their photo with this bear!" It's a "huge landmark." Det. Karmen Kupper said, and a popular backdrop for pictures. The information that helped police cracked the case came from someone apparently unconnected to its theft. The giant bear stands 4 feet (1.2 meters) tall and weights 150 pounds (70 kilograms). A suspect in the theft has been identified but hasn't been arrested, Kupper said.